Tuesday, Feb. 5--Medical Entrepreneur Speakers Series, 5:30 to 7 p.m., with Eli Thomssen and David Esposito. Information and register. Wednesday, Feb. 6--1 Million Cups, 8 to 9 a.m., monthly entrepreneurial event hosted by the WMed Innovation Center. Information. Saturday, March 17--K-Wings St. Patrick's Day game, planned by park social committee. Write Ed Steinbrecher at Kalexsyn for more information or to purchase tickets. BTR 2 will be located on the northwest corner of Parkview Ave. and S. Drake Rd. 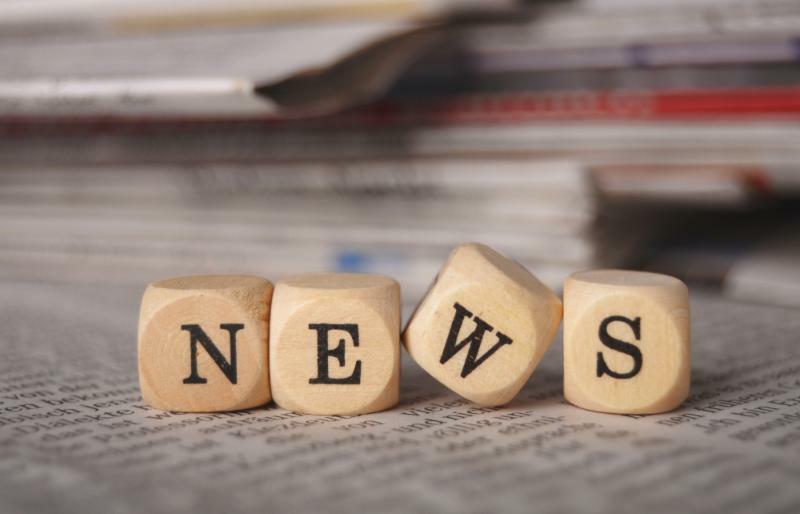 The region's newest job and business development initiative is slated to help kick off 2019. WMU will begin development of the Business Technology and Research Park 2—BTR 2— in the next few months thanks to a $2.1 million grant from the U.S. Economic Development Administration, a division of the U.S. Department of Commerce. The grant will help pay for site development in the form of roads and utilities. The new complex is expected to attract and incubate new businesses as well as establish University, regional business and community partnerships, says Bob Miller, associate vice president for community outreach. It also will support research, economic development and new student opportunities. "The Western Michigan University Business Technology and Research Park has been, and will continue to be, a partnership among the municipalities," Miller says. "The city of Kalamazoo, and now Oshtemo Township, Southwest Michigan First, and the University are working together to add to the tax base, increase jobs, and offer opportunities for students and faculty." 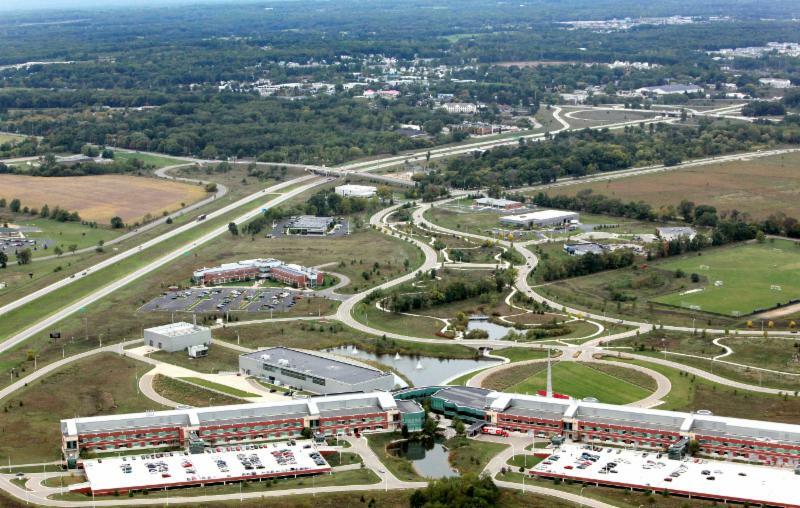 The new venture continues the success of WMU's Business Technology and Research Park 1, a 256-acre complex with similar goals. BTR 1 is home to approximately 40 companies that provide more than 850 jobs. The park and its businesses have added close to $10 million in tax revenue for the city of Kalamazoo. Since its inception, BTR 1 also has provided hundreds of internships for WMU students and counts 100 alumni among its employees. Read more . 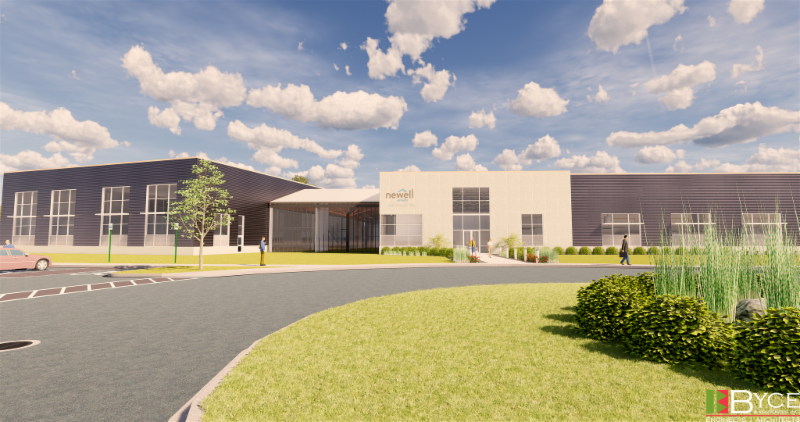 This artist rendering provided by Byce & Associates, Inc. features the expansion underway at Newell Brands . The single-story addition to the west side of its current building will provide an additional 18,234 square feet for offices, product development and storage, and capacity for about 60 new jobs. 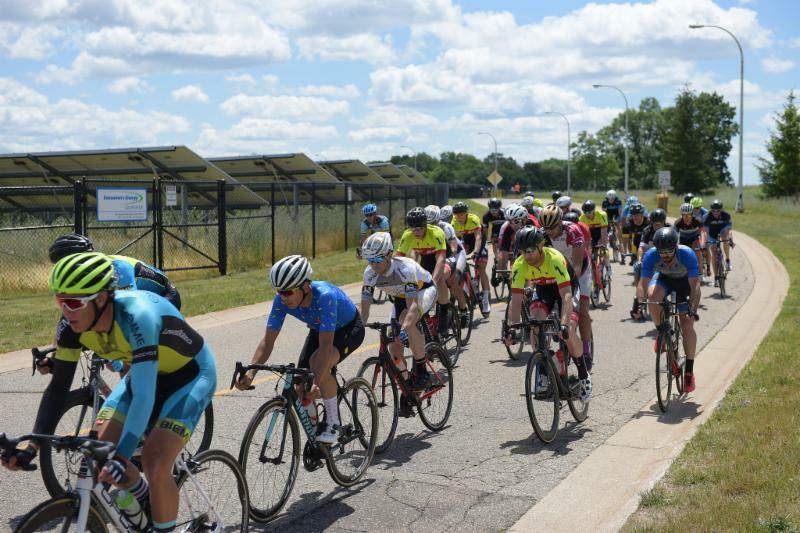 With mixed emotions and based on practical concerns, the WMU BTR Park Bike Race committee decided in November to discontinue offering the race, mainly due to changing demographics that have resulted in decreasing registrations over the last three years. Since 2006, the BTR Park Bike Race has hosted each summer a criterium-style race, and 'crits' are waning in popularity across the country in favor of other types of bike races, most notably 'gravel' or off-road events. We have seen a steady decline in participants over the last few years and decided to conclude the race rather than scaling back from the quality event for which we've earned national notoriety. The race has hosted thousands of bike racers and tens of thousands of spectators from across the country in the park, and we've heard competitors and fans alike say "this is the best race I've ever attended." We never could have done it without the support of our committee members, sponsors, hundreds of volunteers, the College of Engineering and Applied Sciences, and our park partners. 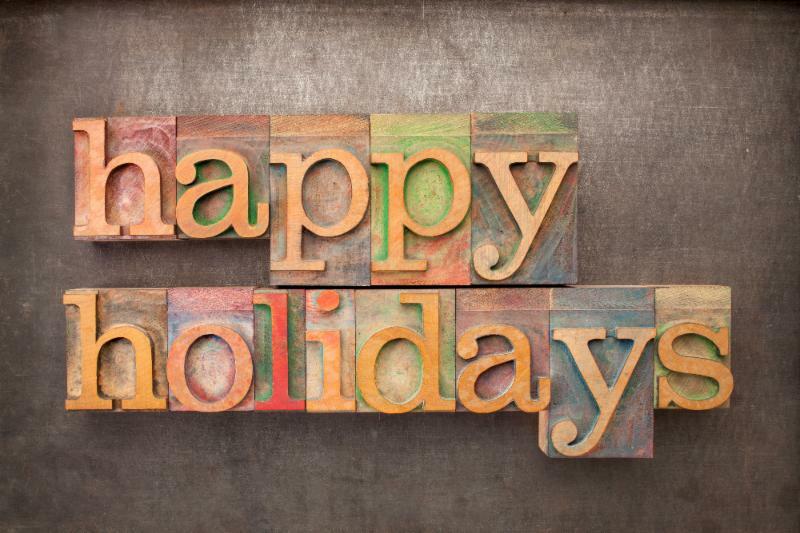 On behalf of the race committee--THANK YOU for your support! Over the next five years, WMU plans to re-imagine the entire southern portion of main campus to include new student housing, a new student center and dining facility, retail venues and several other major building efforts. 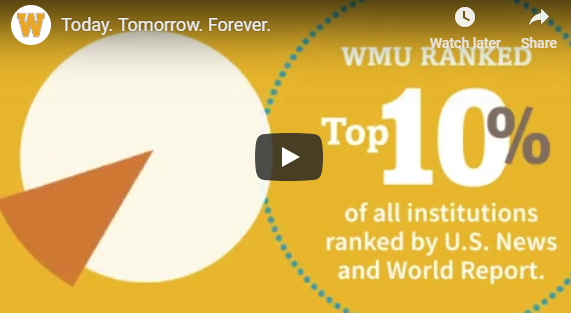 The project itself will be forward-thinking, reaching to create something unique not only to WMU’s campus, but to other college campuses as well. 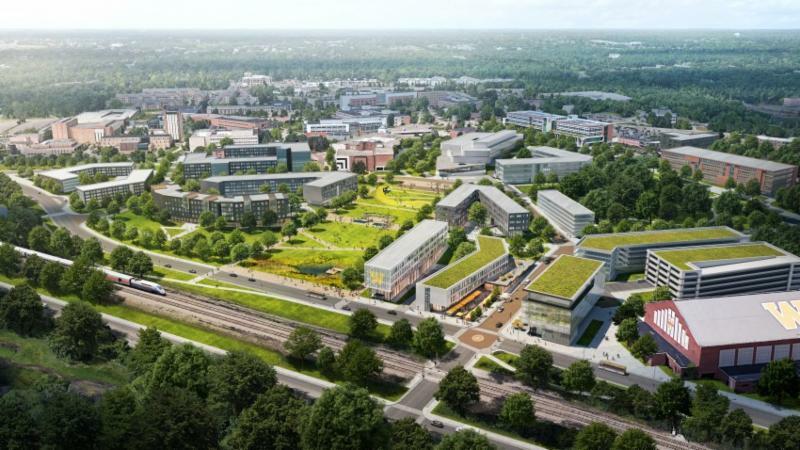 It will include the built environment, as well as new pedestrian and vehicular pathways, outdoor spaces, campus connections and other infrastructure for a truly cutting-edge user experience. Learn more . 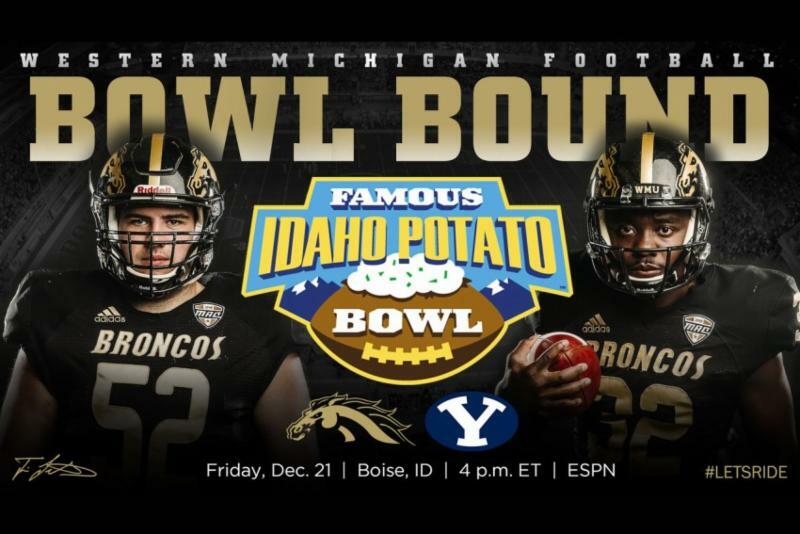 The Bronco Football team concluded their 2018 season with an invitation to play in the Famous Idaho Potato Bowl , representing the Mid-American Conference.